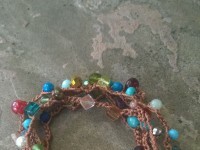 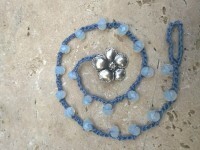 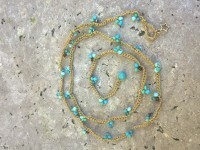 This delicate necklace features 4mm faceted light blue Czech beads crocheted onto tan nylon thread. 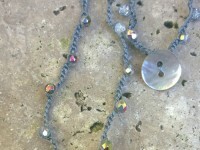 The closure is a small silver bead cap flower and loop. 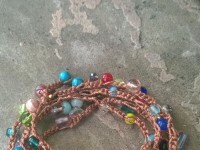 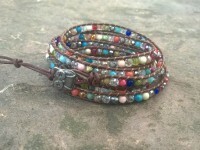 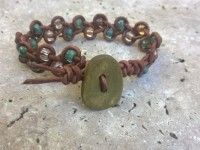 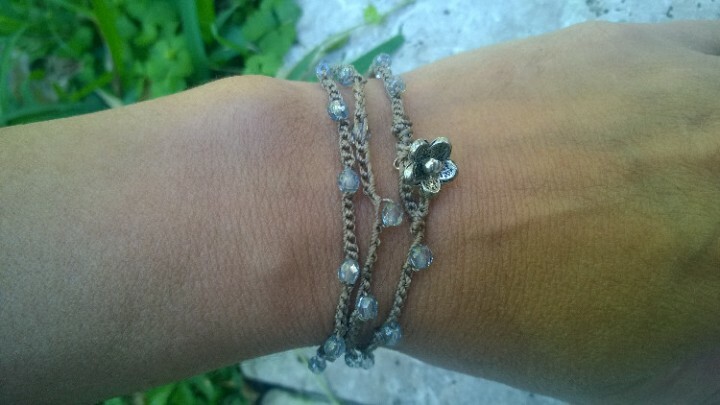 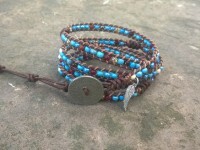 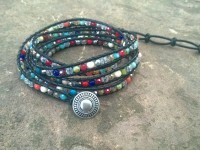 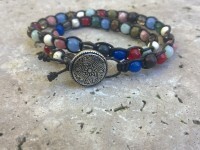 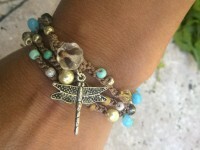 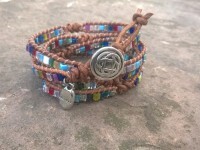 This piece is 22" long and can also be worn as a bracelet wrapped around wrist 3 times.